Michael Crichton casts his imaginative free reign towards the uncharted western territory of the United States during 1876. Two rival Professors of Paleontology form separate expeditions to venture forth into unknown jeopardy that comprises of savage Indian tribes who claim the raw land as their home. 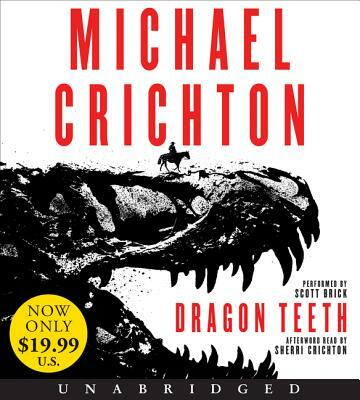 Crichton applies his familiar fictional brilliance to Dragon Teeth, as well as sprinkling historical facts taken from some of the more famous people and westward explorations during the 1870's. This unique novel structures its chapters cliffhanger style into a steady unpredictable adventure that only the ingenious Michael Crichton is capable of conjuring up.